We are a software development and system integration service provider since 2000. We deliver innovative solutions for businesses of our clients and do this professionally, fast...Read moreWe are a software development and system integration service provider since 2000. We deliver innovative solutions for businesses of our clients and do this professionally, fast and cost-effective. We provide our services around the world. We work with FORTUNE Global 500 giants as well as young startups. Absolute majority of our first-time deals have resulted into repeated orders, that is why our customers recommend K-TEC to the people they know. And we are proud of this fact! 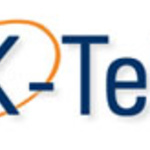 K-Tec is a software development and system integration service provider since 2000. We deliver innovative solutions for businesses of our clients and do this professionally, fast and cost-effective. Our Mission is to make Your Mission Possible! Currently there are 200+ IT engineers in our company. Our company staff consists of the technical university graduates. All the engineers have bachelor's and master's degrees. Some of our employees are engaged in the permanent scientific research in various fields. Our clients reduce their risks and costs by getting a full range of qualitative IT services from one provider! Working with us you will get experience during the process what Cloud Staffing is and why this is the BEST solution for hiring a Cloud Team at K-TEC. Instead of filling the positions we create a Cloud Team and then manage it to ensure the task you assign is completed. How it looks like: you assign a task to us (Cloud Team) and get the perfect result. How it works: based on the task and domain we take care of all the aspects of our Team such as identifying the right people, defining roles and compiling a team with a backup staff, setting up the process and standards, providing the necessary training and coaching, ensuring motivation of each member, carrying out monitoring and teambuilding, ensuring mutual communication between the team members and you, collecting and analyzing feedbacks to improve the result. All of these routines are out your worries. We provide the full-stack service of development and maintenance of large-scale web-applications for anyone: from small startups to major IPO players. We provide not just implementation according to the specifications but also babysit your product while it attracts users and traffic to support its growth. We do Business and System Analysis, Forming Specifications, Design Architecture and provide Technical Consultations. We use only the latest development techniques, highly optimized and clean code and sure we will professionally support your system after the delivery. You can be assigned to our monitoring system so our System Admins will take care of your servers/services 24/7. We provide a lot of services and you can make sure of this.